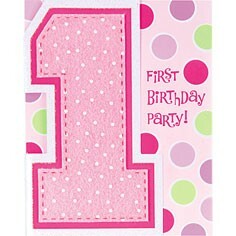 A cute Pink Birthday Invitation Card for your baby girl with colourful polka dots. First birthday Party is written on it. Has a set of 8 cards in the pack.